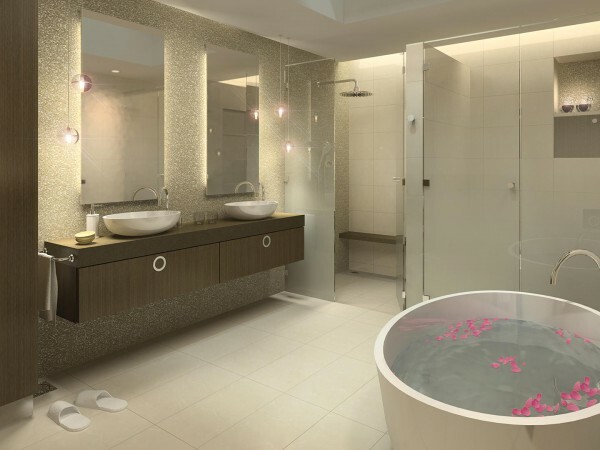 Interior Design, Schematic Design Documentation. 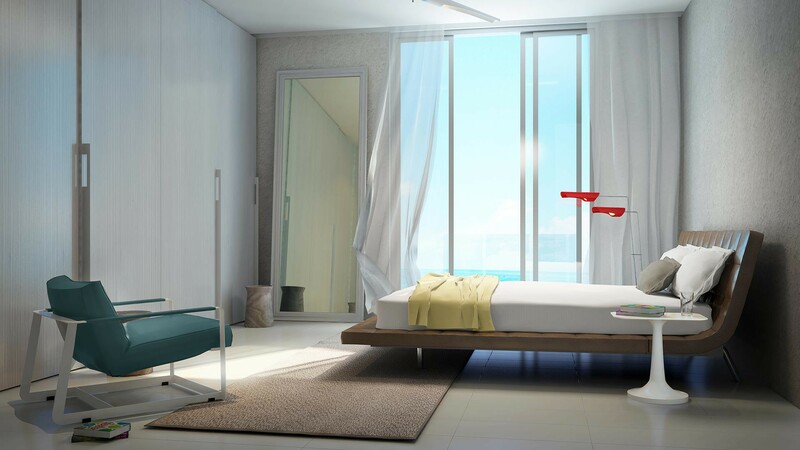 The Flourish residences at Al Raha Beach offer a modern interior design envelope. 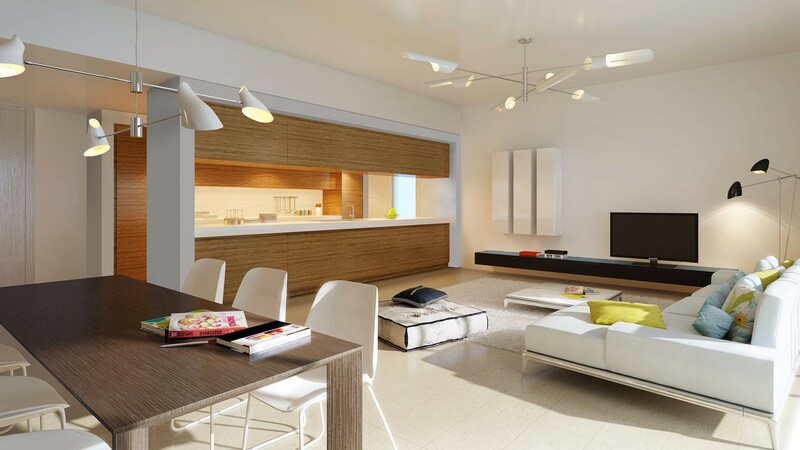 Contemporary space planning gives local and international residents living environments that maximize usable space in combination with clean modern lines. 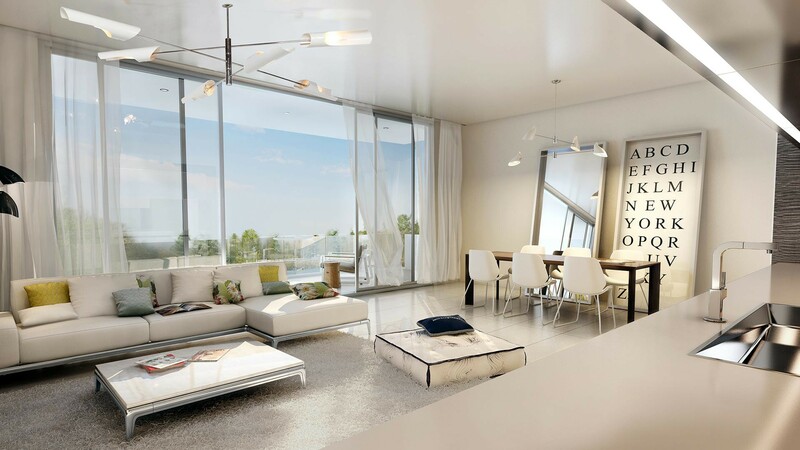 Unhindered views and a wealth of natural illumination are a result of full height windows accompanied by private balconies lined with glass balustrades. 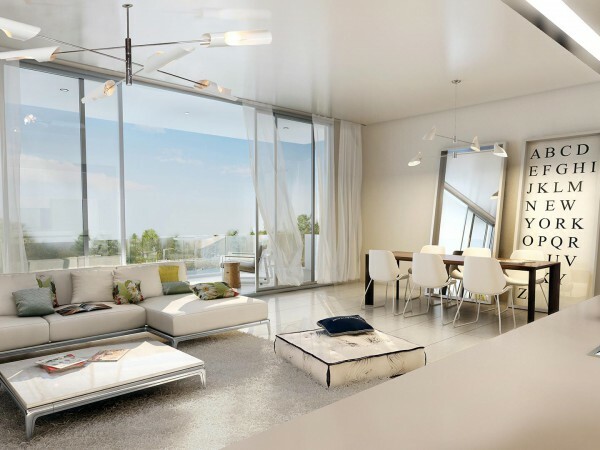 Generous and varying apartments provide layouts to meet the individual preferences of its residents. Flourish residences feature rich timbers in the kitchen, bathrooms and wardrobe areas which accompany the modern interior architecture. 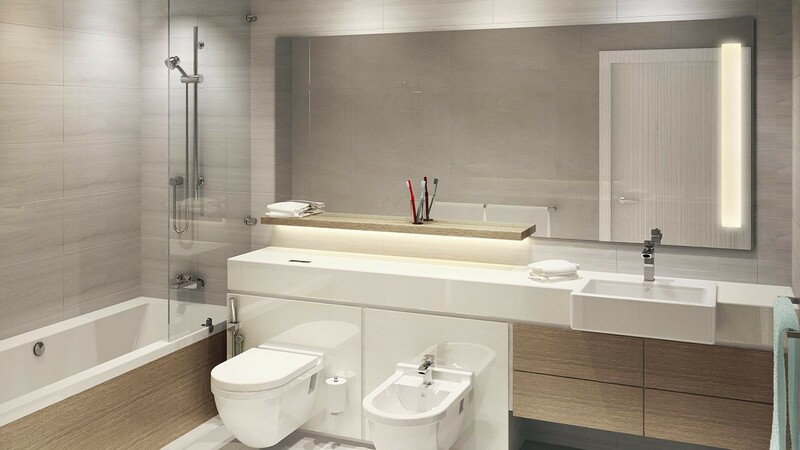 Large semi-open kitchens and private bathrooms are treated as individually designed spaces with bespoke modern detailing that contributes to creating a personalized home environment. 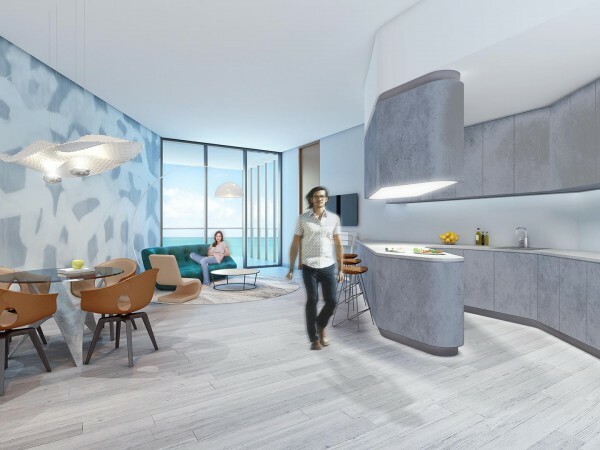 Communal spaces including the lobbies and leisure centres within the Flourish residential complex follow the same design philosophy. Long unobstructed design elements solidify the large open space. Stretched pools finished with natural stones are lined by sun loungers and day beds which are in turn encased by a modern urban landscape of flora. 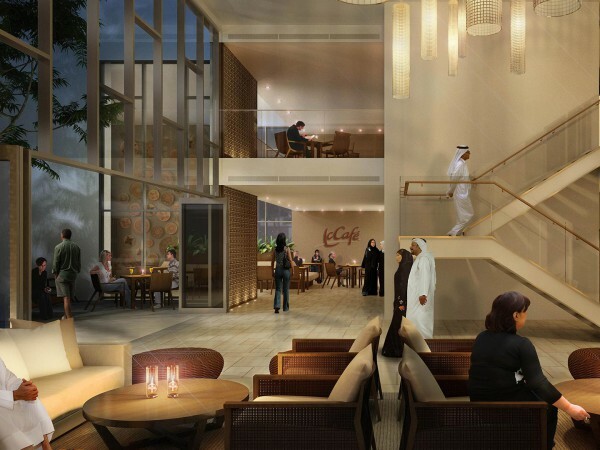 Flourish combines a contemporary approach to residential living rooted in natural elements offering its residents undisturbed views of Al Raha Beach.